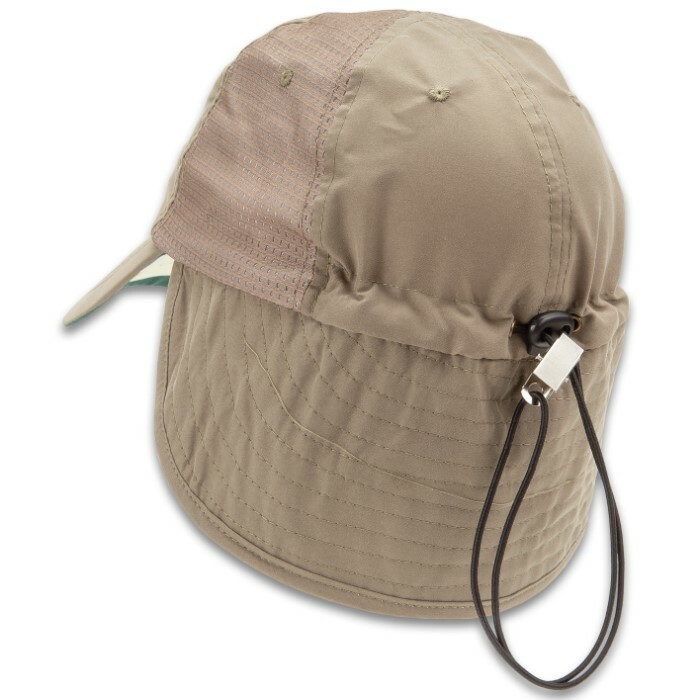 Big Bill Fishing Cap - Olive Drab | BUDK.com - Knives & Swords At The Lowest Prices! 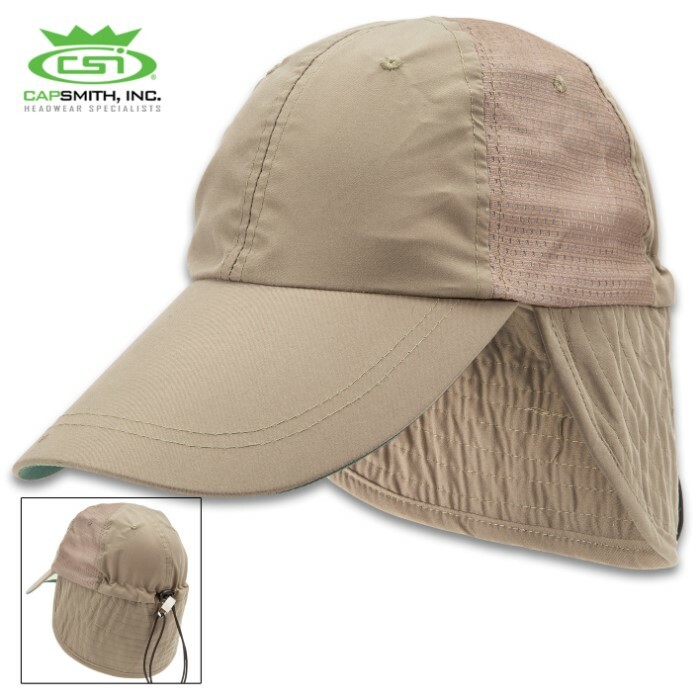 This big bill fishing cap offers you protection from the sun so you can enjoy your time on the water, or wherever you are in the great outdoors. You'll certainly feel protected under the microfiber construction which offers UPF 50+ sun protection. An extended bill protects more of your face from the sun and a matching mesh side panel covers your ears and neck. A drawstring allows you to tighten it down on your head so it won't blow off during your high-speed travels on the water.